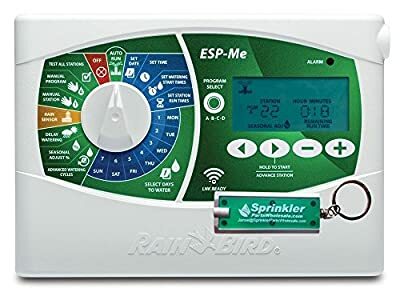 WiFi Connectivity By simply plugging in a Rain Bird LNK WiFi Module (sold separately), users can access, operate and monitor their irrigation system from anywhere. Internet-based weather information is used to make daily adjustments to the irrigation schedule, saving up to 30% in water. Tailored Watering Schedules Extra Simple Programming makes it easy for your crew to meet each landscape's unique needs. With the controller up and running faster than ever before, you'll get more jobs done in less time. Single-Controller Simplicity Forget training crews to install different controllers. The ESP-Me can do it all, saving you valuable time and labor costs. The scalability of the ESP-Me and the choice of installing either 3- or 6-station modules mean more flexibility and a competitive edge. Delay Watering Is Mother Nature doing the watering for you? Are you having a party and want to make sure the landscape is dry? 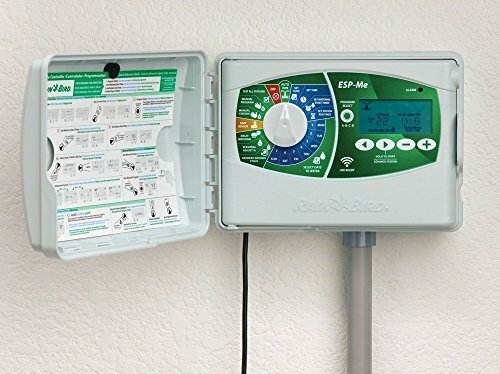 Easily postpone irrigation for up to 14 days. Normal irrigation will resume automatically. Bypass Rain Sensor by Station Got a landscaped area under an eave or deck? Bypass the rain sensor for that station(s)-or for the entire landscape. Seasonal Adjust by Program When the seasons change, change with them. 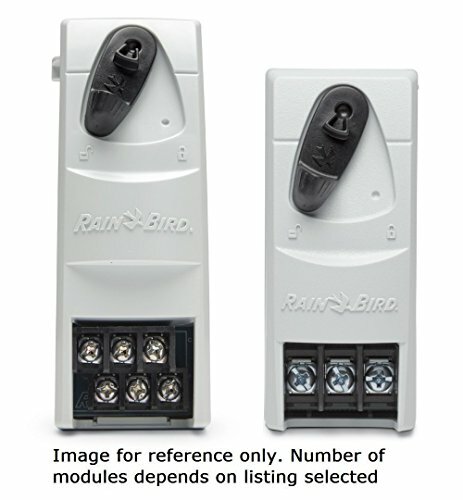 Reduce watering down to as little as 5 percent of your scheduled program times or increase it up to 200 percent. Apply to all programs or to each program individually. Total Run Time Calculator by Program Calculate the specific amount of time the controller is scheduled to run for a given program. Use it to ensure morning watering is finished before the family wakes up, or reduce your run time to comply with water restrictions. Short Detect/Programming Errors The ESP-Me visually notifies you of electrical and programming issues with a bright red LED and scrolling messages across the LCD display.